step back and set them down. I did this because I couldn't seem to brew a list that felt well positioned across the metagame. ringers from the NE. So I annouce the first ever results put up by my very own home brew of Landstill Oath enjoy! Game 1 - So Beaver starts this game off with a few quick werebears and I raise him an Oath of Druids which brings out Griselbrand shortly thereafter which brings closure quickly! Game 2 - This game is a little longer and I remember resolving Pernicious Deed Killing Containment Priest and a few Moxen. This Clears the way for my Oath of Druids I cast on my turn! I pass the turn to Jeremy and he casts Managorger Hydra and a Bunch of spells over his turn and mine resulting in a 8/8 Hydra. I draw a bunch of cards to fight off multiple Swords to Plowshares. I am forced to block the Hydra and letting Griselbrand die. The following turn I Oath into my next Griselbrand and end up answering his Hydra with Abrupt Decay. Game 1 - I keep a hand with Treetop Village as my only mana source but I am on the draw and my hand contains Mental Misstep, Force of will, Oath of Druids, Brainstorm, Standstill, Flusterstorm. I keep it knowing my deck can draw mana. I draw the best mana in Forbidden Orchard, and end up casting Oath on turn 2 with Force of Will and Flusterstorm back up. Brandon can't kill me fast enough so I ride Griselbrand to a win! Game 2 - I mulligan into a keepable hand, but Brandon has Thoughtseize and a fairly fast win this game. Game 1 - Dave has turn 1 Black Lotus which meets my Force of Will. He Forces back to resolve Lotus and proceed with 2 Delver of Secrets and a Ponder to try to find a land. Dave hits the land and passes turn. I have a decent hand with Abrupt Decay, Mana Drain, and Standstill. My hand is clearly weak vs the old double Delver opener. I draw Oath in a turn or 2 and get Griselbrand into play. Dave has the Path to Exile in hand. I am able to draw 7 cards, but I don't hit a counter for the Path. He attacks me to 6 life. On my turn (with a full grip) I cast Demonic Tutor for Toxic Deluge and kill 2 Delver of Secrets, Young Pyromancer, and a few tokens. Over the next few turns I keep controlling the game and win with man lands! Game 2 - Dave has 2 quick Grafdiggers Cage. My hand had Dig Through Time, Mana Drain, Flusterstorm, Oath, and a few other cards on like turn 4. I end up casting Oath of Druids and Drain Dave's Force of Will to get 5 mana the following turn. So I activate oath of Druids to get Griselbrand to the top of my deck and draw him for the turn. I proceed to hardcast Griselbrand utilizing the Drain mana! Dave conceeds. Round 4 (Intentional Draw) I am the #1 seat going throughout the top 8! Game 2 - This was a very quirky, odd, interesting game. Dempsey resolves Necropotence after killing my active oath with Nature's Claim. I have a Mishra's Factory on the board to have some pressence. Keep in mind I am at 22 life right now. Dempsey passes the turn and I land a 2nd Oath of Druids, which will be active the following turn if I get one. On Brandons turn he tanks for quite a while and decided to cast a recovery Yawgmoth's Will. Yawgmoths Will allows Brandon to Natures Claim my Oath again, and use Imperial Seal and a few other cards but cant quite win. Brandon passes the turn, and I play Senseis Divining Top and pass back. Brandon casts Doomsday on his turn and reaches the deepest darkest hours of the think tank, as he forgets his Yawg Will removed his Black Lotus and Lotus Petal from the game making it much harder for him. I am hiding an Abrupt Decay on top of my deck with the Senseis Top. I win this game off the Abrupt Decay. Game 1 - Joe has a turn 1 Baby Jace, which meets my turn 1 Oath of Druids. He is able to use his Black Lotus and a few spells to get Jace to flip into not a creature lol. I use abrupt decay to kill the Jace and follow that up with a standstill the following turn. I am on man land beat down plan until Joe pulls the trigger. A few turns pass when Joe finally cracks my Standstill. On my turn I get to activate Oath of Druids getting the big bag Grisel. I am able to cast Toxic Deluge and pay 4 life to his all the creatures for -4/-4 thinking this should kill all the Mentors and tokens. Joe responds with Swords to Plowshares on Griselbrand and I respong by drawing 7. I cast Mental Misstep, Joe casts Mental Misstep, I cast Flusterstorm, and Joe uses another Misstep to keep his mentors alive, while all the tokens die. This leaves Joe with no cards in hand. I get to my next turn and cast Decay on 1 Mentor, and Jace Bouncing the other to take over this game. Game 2 - I seem to forget the first few turns of this game. But I do remember casting Oath of Druids by turn 3 or 4. Joe plays Karakas. I activate Oath for Griselbrand. Joe attempts to bounce Grisel and I respond and draw 7 cards. at this point I accept the oath plan won't work here unless I am able to find my 1 of Strip Mine later in the game. Now when he played Karakas I was a little surprised as I had put the Wasteland in my SB for decks that I thought would run Karakas and shops decks. I didn't expect it from Joes Deck. After drawing 7 cards I am able to cast Standstill and control the game with Jace the Mind Sculptor and ride 2 Mishra's Factory and Creeping Tar Pit to victory. FINALS vs Jeremy Beaver - Now going into this match, Jeremy and every other person in the room knows I absolutely do not take splits. I come to play and win. I am (what I feel like) severely favored in this matchup. I tell Beaver I want to play for first place as its $250 and second is $100. Beaver offers a 220/130 split and I take it afterall. Beaver is a great guy and an excellent vintage player. I go home happy with my decks performance and had a great time with some great friends! Props: Gush being eeverywhere and my deck liking that, Oath being a metagame trump, Joe having Karakas, Shawn Griffiths and TPG for holding a sweet event, and super awesome opponents. Slops: Me playing Polluted Delta and not Verdant Cattacombs (WHOOPS! ), making some play errors, and being hungry all day. Congrats on the great finish and brewing up a metagame sniper. I like the idea a lot. This deck seems like it has a lot of play even as the turns tick by. When I play Oath, I feel like the longer a game goes without me having an early bomb, the less likely I am to win that game. Glad to see this deck for sure. Game 2 - Dave has 2 quick Grafdiggers Cage. My hand had Dig Through Time, Mana Drain, Flusterstorm, Oath, and a few other cards on like turn 4. I end up casting Oath of Druids and Drain Dave's Force of Will to get 5 mana the following turn. So I activate oath of Druids to get Griselbrand to the top of my deck and draw him for the turn. Can you explain this one a little bit more? How did activating oath get griselbrand on top of your deck? The oath reveals and mills cards from the top of a player's library until a creature card is revealed. The creature is then put into play from the top of the library. Cage stops the creature from entering play from the library, so it instead stays as the top card in the library. Awesome idea for a deck and glad it worked out! Though I must say, I have no idea why that Jeremy Beaver accepted that deal. Did he really think that he was an 4-1 underdog? Risk $30 to win $150. Yea, that split was bad for beaver. I absolutely never split events. This was the first time I ever have. I was a heavy favorite and Beaver asked me what it would take to split. And I said an offer I couldn't refuse. He needed to buy some cards that valued $130 total so he was fine with the split as we both had to commute home as well. Skill involved in negotiating the split? Not really lol. I justill don't ever split but with that offer why wouldn't I? I really like this strategy--I'm glad it paid off! The deck seems really well positioned right now. I think forcing Mentor decks to respond to a huge threat is exactly what Landstill needed, well done!!! Nice work, Josh. That's a really cool list. I'd thought of an idea similar to this last year but never sleeved it up. Standstill in conjunction with Forbidden Orchard ultimately seemed like a rough concept to me. How was it? Were there any moments when this worked against you? 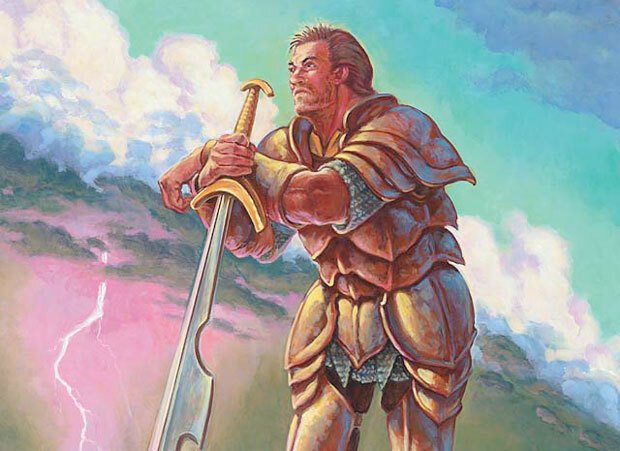 Did the Orchard tokens ever provide a tough land-battle for your man-lands? What made you choose a Toxic Deluge for the maindeck over something like Engineered Explosives? I'd love to hear more about it. The orchard vs my own man land thing wasn't a problem all day. With 5 man lands of my own I can generally trump opposing 1/1s if it comes up. I had a game in testing where I was forced to cast Standstill with no man lands in play while they had 1 orchard. I drew a man land 12 turns later and stabilized shortly after to control the game and win. I've put these two enchantments side by side before but never really developed the deck. There are so many things between the two strategies that compliment each other. They're sort of like opposite strategies in a way so any time one doesn't work you can assuredly rely on the other. An opponent without a threat is ideal for Standstill whereas you can't play standstill when they have a creature; conversely, Oath of Druids is pretty dead to an opponent with no threat but trumps any threat they may have already played. They're like strategic puzzle pieces. Thanks man, ando Yeah it worked out great. Oath was able to close the window vs doomsday quickly too. They have no creatures but you can get the "oh hey here's Orchard and Oath" hands. Which make combo storm off, and if they can't, you just win. Now going into this match, Jeremy and every other person in the room knows I absolutely do not take splits. I come to play and win. ... best part of the report. The list has 61 cards MD, is that intentional? Loving this list, awesome work as always with landstill! Thanks for sharing!